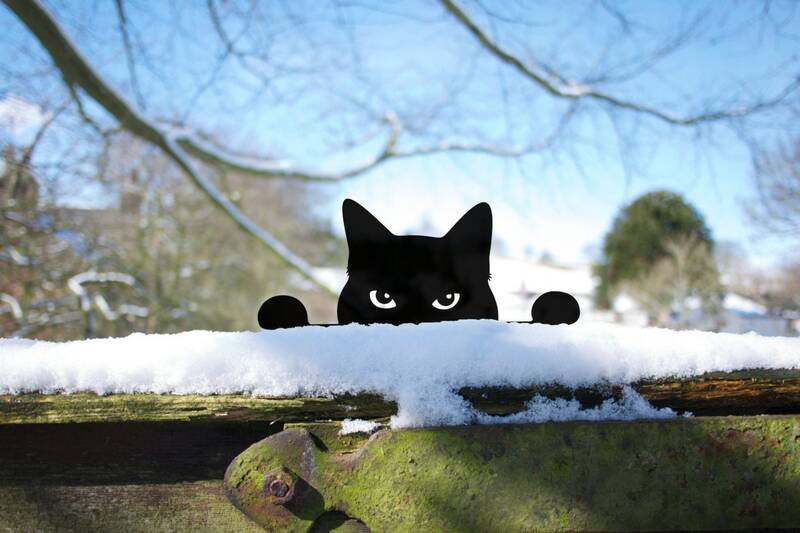 Peeping Tom Cat - for the ground, a plant pot or screwed to a fence. 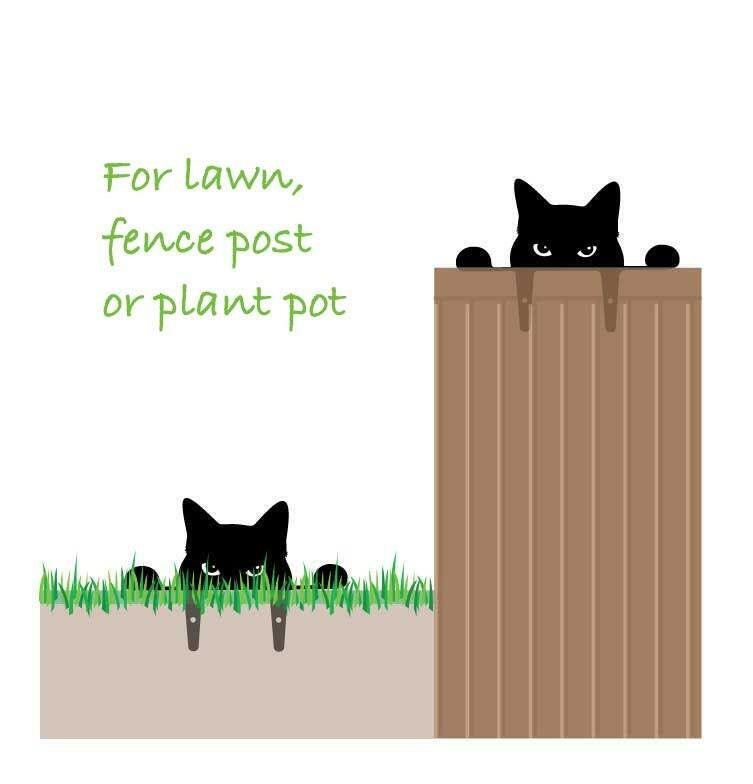 If you're a crazy cat lady, a cat lover or meow-sician, this peeping tom garden cat is purr-rect to brighten up your outside space. 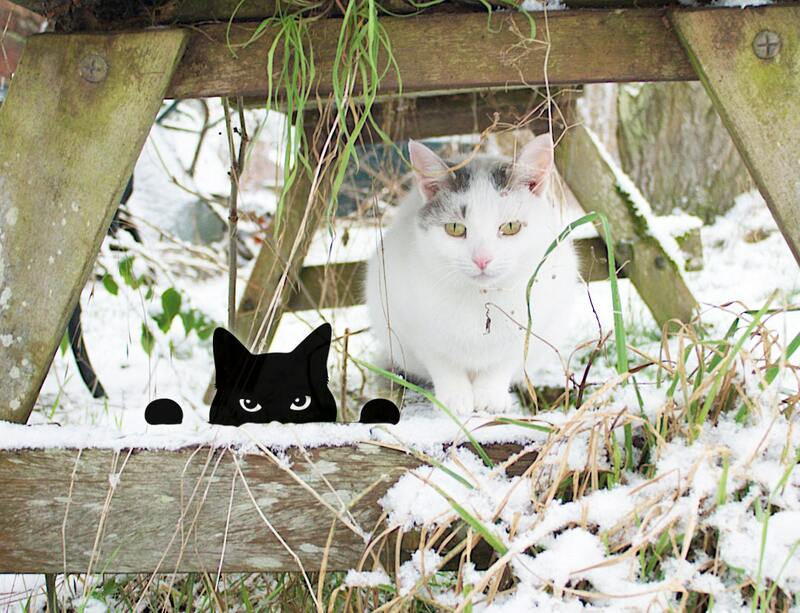 I'm not kitten you ! So paw-lease, no pro-cat-stination, just cease the meow-ment! Don't wait till Cat-urday ! 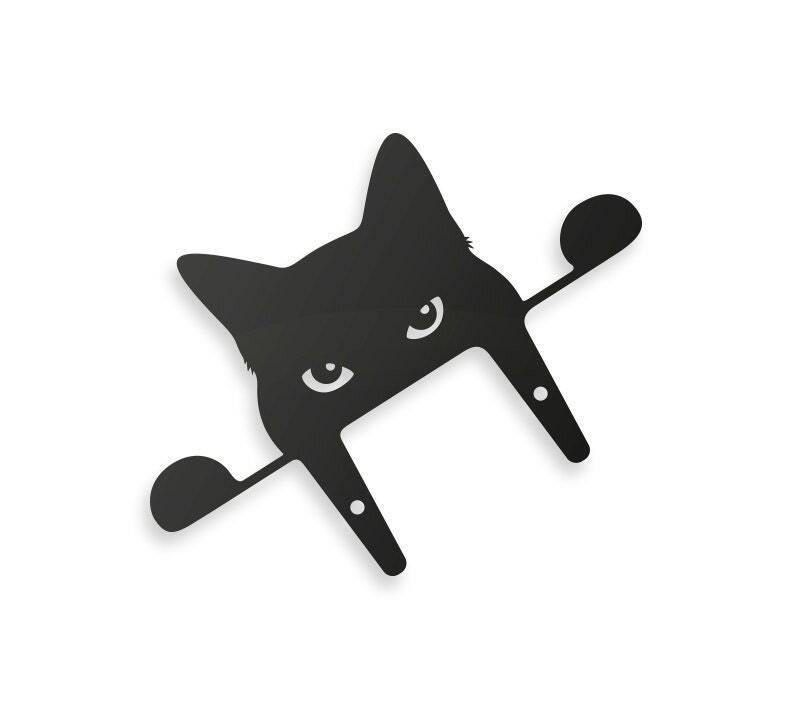 This metal cat ornament is made from 3mm powder-coated black steel and is suitable to go in the earth between the flowers or into the lawn. It's really cute and well made! Jolyon helped me with some concerns and he was always prompt and pleasant. I feel like I've made a new friend! I highly recommend this shop and the products he produces. Expertly made and super cute, this was the perfect gift. I expressed my need to have it shipped right away (to the US, no less) and Jolyon accommodated me and was very communicative and helpful. This is adorable and the recipient loved it. Thank you for your prompt communication! This is SO cute and well made. Thanks!